Newton Abbott Firefighters responded on 2/1/19 at 1020 Hrs for a report of a structure fire on Dorchester Rd. 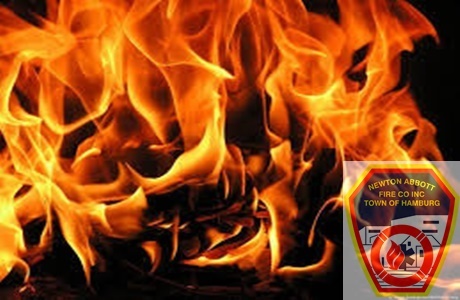 Newton Abbott Firefighters responded on 8/5/18 for a report of a structure fire on Salem Dr.
Newton Abbott Firefighters responded on 3/27/18 at 1503 Hrs for a report of a structure fire on Dickens Rd. Newton Abbott & Scranton Firefighters responded on 10/13/17 at 2250 Hrs for a report of a head on MVA on the I-90 near exit 56. Newton Abbott Firefighters responded on 8/16/17 at 0553 Hrs for a report of a structure fire on Linwood Ave.
Newton Abbott Firefighters responded on 1/9/17 at 0449 Hrs for a report of a structure fire on Oakwood Ave.